SuPeRbOoMfAn is a Super Smash Bros. Captain Falcon, Kirby, and Pikachu tri-main from Alberta, Canada who is widely considered the world champion of Smash 64. He is considered the best Captain Falcon main in the world, one of the best Pikachu mains in the world, alongside Alvin, Gerson, and Mariguas, and one of the best Kirby mains in the world, alongside Fukurou, kysk, and Moyashi. He is renowned for his adept character roster, and has maintained an unparalleled level of dominance in North America. SuPeRbOoMfAn is currently ranked 4th on the 2017 64 League Rankings. He and JaimeHR comprise the best static Doubles teams in the world, dubbed Team Mejor, and enjoy a high level of dominance in the North American scene. In Melee, SuPeRbOoMfAn is a Marth, Falco, and Fox co-main, but has admitted that he does not take the game nearly as seriously as Smash 64. SuPeRbOoMfAn is currently ranked 3rd on the Edmonton Melee Power Rankings. On January 17th, 2017, alongside Rich Brown, SuPeRbOoMfAn was signed by Panda Global. SuPeRbOoMfAn's playstyle has been described as heavily defensive by Jousuke. His technical skill is among the best in the world, and he maintains an extensive knowledge match-up specifics and aspects of the game's physics. His spacing, in tandem with his patience, enable him to consistently follow his opponent's movements, and exploit openings, wherein he utilises heavily optimised punishes. He is known to have incredible situational DI. 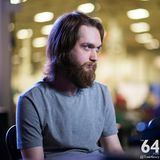 SuPeRbOoMfAn began playing Smash 64 online through Kaillera in early 2004, where he obtained practice with prominent players such as JaimeHR, Bane, and Dark Link X. He developed into one of the best players online, and founded Prodigies of Premium Smash along with ECartman, a crew that dominated the online scene. He began participating in tournaments in 2007. At GENESIS 2, he placed 1st, taking his first major, double eliminating Isai. He repeated this performance at Apex 2012 six months later, double eliminating Isai again. In Doubles, he placed 2nd with JaimeHR, being double eliminated by Isai and Nintendude. SuPeRbOoMfAn returned to attend Apex 2013 the next year, placing 3rd. He took sets off of Banze and Sensei, before falling to Kikoushi. In Losers' he defeated JaimeHR and Ruoka Dancho, before being eliminated by Isai. SuPeRbOoMfAn won Zenith 2013, double eliminating Sensei. He notably played Kirby, using a keyboard, before switching back to a controller after falling into a set disadvantage. Repeating his Apex 2013 placing, at Apex 2014, SuPeRbOoMfAn again placed 3rd, being double eliminated by Moyashi. At Zenith 2014, SuPeRbOoMfAn placed 1st, without losing a game. He double eliminated KeroKeroppi, and defeated Wizzrobe. He won Doubles with The Z, double eliminating Firo and Nintendude. In August of 2014, SuPeRbOoMfAn traveled to Peru with Mariguas and Herbert Von Karajan to attend Tacna 2014, placing 3rd. He defeated many of their notable players, but was double eliminated by Marka. In what was considered a purposeful move, during his set against Gerson, who was widely considered the country's best player, SuPeRbOoMfAn played an infamously campy style on Hyrule Castle, with the set taking over an hour. It is thought that his play was designed as a method to demonstrate the flaws of the stage to the Peruvian community. SuPeRbOoMfAn started 2015 by placing 1st at Echo 2015 Winter, defeating YBOMBB and The Z. He won Doubles with Fck Vwls, double eliminating The Z and Revan. At Apex 2015, SuPeRbOoMfAn placed 1st, dropping only two games, to Wizzrobe and tacos; however, he would go on to sweep through his bracket, and double eliminate tacos, solidifying his status as the best player in North America. With JaimeHR, they won Doubles. In June of 2015 at Smash of Ages 2015, SuPeRbOoMfAn once again placed 1st, defeating Kyle Tree, JaimeHR, Mariguas, and tacos. He and JaimeHR won Doubles without dropping a single game. He travelled to Japan for Kanto 2015, which featured a single elimination bracket. He placed 5th, defeating Takuro~, before falling to Moyashi. Returning to attend GENESIS 3, and hoping to repeat his success at GENESIS 2, he fell slightly short. He placed 2nd, defeating tacos and double eliminating Wangera, before being double eliminated by wario. In April of 2016, SuPeRbOoMfAn won Pound 2016, defeating Wizzrobe, and double eliminating tacos. He and tacos won Doubles, only losing a single game to Nintendude and Firo. He repeated that performance at Get On My Level 2016. In Singles, he lost only a single game, to KeroKerropi. He and Nintendude took Doubles, not losing a game. At Snosa 2016, he placed 1st, not losing a single game. In Doubles, he and JaimeHR placed 1st, though not without serious competition from both Isai and KeroKerropi, and Mariguas and Dext3r. At Super Smash Con 2016, he placed 1st, defeating Mariguas, Isai, and double eliminating Wizzrobe. In Doubles, he and JaimeHR placed 2nd, being double eliminated by Isai and Alvin. Attending Shine 2016, SuPeRbOoMfAn placed 1st, not dropping a single game. In Doubles, he and tacos placed 1st, only losing a game to Shears and Marbles. In September of that year, he attended Operation Desert Smash II, placing 1st, double eliminating D3xter. In Doubles, he and JaimeHr placed 1st, double eliminating tacos and D3xter. SuPeRbOoMfAn placed 3rd at his namesake tournament, SuperBoomed, being double eliminated by Alvin. He and Firo placed 1st in Doubles, double eliminating Mariguas and Alvin. In November of 2016, at Boss Battle 2, SuPeRbOoMfAn placed 1st, losing only one game to KeroKerropi, double eliminating him. Both he and Fireblaster placed 1st in Doubles, losing one game to DTan and DOGG. He ended the year on a high note, placing 1st at Don't Park on the Grass, without dropping a game. He and Wizzrobe teamed for Doubles, losing only one game to Jason and Mariguas. Repeating his GENESIS 3 placement, he placed 2nd at GENESIS 4, being upset by Wizzrobe, and being eliminated by Alvin. He and JaimeHR solidly took Doubles, losing only two games. He won the following US tournaments without competition from Japan or Peru Keystoned 2017, Frame Perfect Series 2, Smash 'N' Splash 3 and Low Tier City 5. At Super Smash Con 2017 he placed 4th losing to Kurabba and Fukurou 2-3, which is his lowest placing at an US tournament. SuPeRbOoMfAn finally broke his 2nd place trend at GENESIS 5, winning the event by defeating Alvin 3-1 in grand finals (following a loss to him in the first set 0-3). At Tacna 2014, a Hyrule Castle-only tournament, SuPeRbOoMfAn played in an infamously campy style against Gerson in Losers' Semis. Speculation arose that he intended to demonstrate the flaws of the stage to the Peruvian community. Roughly half a year later, Peru had their first Dream Land only tournament, with Gerson placing 1st. While Gerson initially offered to play on Dream Land, SuPeRbOoMfAn refused due to the tournament rules stating that Hyrule Castle is the only legal stage. SuPeRbOoMfAn won, in a set that endured over an hour. As the rule-set stated that the player in the lead is not required to approach the other player in a camping situation, SuPeRbOoMfAn did not act as the aggressor, and Gerson was warned multiple times throughout the first game that he was required to approach SuPeRbOoMfAn since Gerson was losing. When SuPeRbOoMfAn was warned for similar behaviour in subsequent games, he argued that he deserved just as much time as Gerson took. There were accusations that SuPeRbOoMfAn's behaviour was unsportsmanlike, and claims that he left a bad impression of the North American scene in South America. SuPeRbOoMfAn returned to Edmonton, after several years of living in Fort Saskatchewan, Alberta and Fredericton, New Brunswick. Upon his return, he entered a weekly with the tag FalcoMaster3000, wearing a balaclava and sunglasses, and surprised participants and spectators with his skill, solidly taking 1st using a combination of Marth, Falco, and Fox. He did not speak once during the entire tournament. Although he had never publicly claimed to be the mysterious figure, profile matches and a combination of coincidences led to a general consensus that SuPeRbOoMfAn was indeed FalcoMaster3000. During the "Smash Masters" event at Super Smash Con 2018, SuPeRbOoMfAn humorously arrived on stage with his signature balaclava and sunglasses, confirming his secret identity. In his AMA, SuPeRbOoMfAn established his growing thoughts on the meta and future of Smash 64. He dislikes the growing saturation of Pikachus and Kirbys, and attributes his growing usage of Pikachu as his attempt to demonstrate Pikachu's over-viability. Furthermore, he considers the over-saturation of Pikachu and Kirby to be hindering the scene's growth, noting that participation and interest are dwindling as both characters become more and more prominent, and the importance of holding and gaining interest as the Smash 64 competitive scene hits its stride. SuPeRbOoMfAn has stated that while he would be interested in travelling to Japan again, he expresses no interest in returning to Peru, citing his perception of disrespect from the Peruvian scene, and possible safety concerns. He considers Dream Land to be the best option for a competitive meta, and that while other stages are interesting, their own quirks make them less than appealing. SuPeRbOoMfAn holds a positive record against every player he has played in tournament, with the exception of Moyashi (0-3), Alvin (4-4), Marka (0-2), wario (1-2), Kikoushi (0-1), and Fukurou (1-1). He is the only person in North America to have a positive record against Isai (8-3). His alternate persona while playing Kirby is known as GodMasterKirby, or GMK. SuPeRbOoMfAn occasionally plays using a keyboard, accompanied by the name KeyboardKing when doing so. SuPeRbOoMfAn frequently enters local Melee tournaments using the alias, DildoKing. SuPeRbOoMfAn speedruns the Crash Bandicoot series, and currently holds the world record for Crash Bandicoot 2: Cortex Strikes Back, in the 100%, Any% (Game Over Abuse), and Any% categories. ↑ Panda Global signs SuPeRbOoMfAn and Rich Brown. ↑ The Legend of FalcoMaster3000. ↑ Hello, this is PG SuPeRbOoMfAn, ask me anything. ↑ SuPeRbOoMfAn's opinion of Pikachu and Kirby. ↑ Why SuPeRbOoMfAn is playing more Pikachu. ↑ SuPeRbOoMfAn's opinion of Kirby's and Pikachu's impact on the scene. ↑ SuPeRbOoMfAn explains the importance of maintaining outside interest in the scene. ↑ SuPeRbOoMfAn's thoughts on returning to Japan and Peru. ↑ SuPeRbOoMfAn talks about stages. ↑ SuPeRbOoMfAn's world record runs. This page was last edited on April 21, 2019, at 01:12.